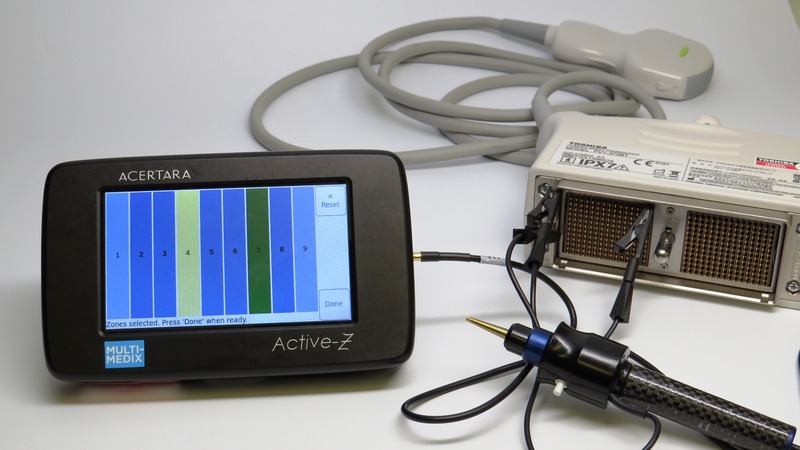 Active-Z™ enables handheld ultrasound probe/transducer testing Active-Z™ is a new approach to testing diagnostic ultrasound probes/transducers. 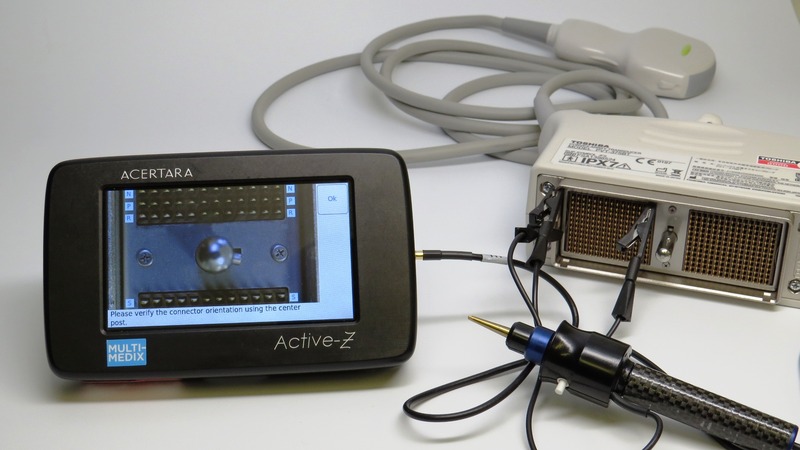 Active-Z™ is a handheld device, smaller than a digital voltmeter (DVM), designed for use by the medical engineering team. 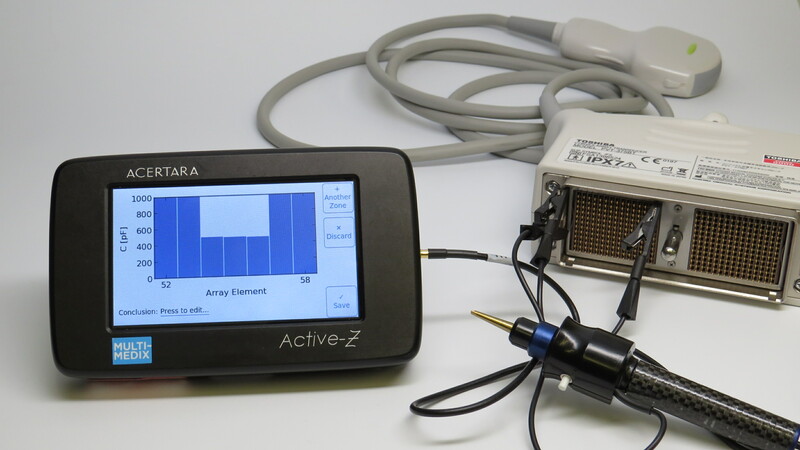 Active-Z™ measures the complex impedance of the connection and circuit from any given pin of the probe connector to the corresponding individual element within the array of the probe, establishing the condition of the probe. 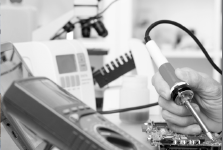 Multi-Medix provide a comprehensive range of services, including sales, support and calibration. 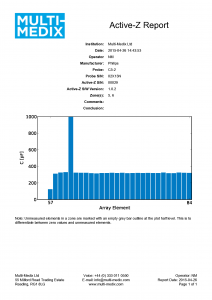 Active-Z™ Reports demonstrate a probes complex impedance response from each array element to connector pin. 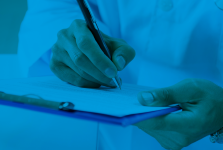 Multi-Medix prioritise quality through traceability to the world’s only independent ISO/IEC 17025:2006 medical ultrasound acoustic measurement laboratory. 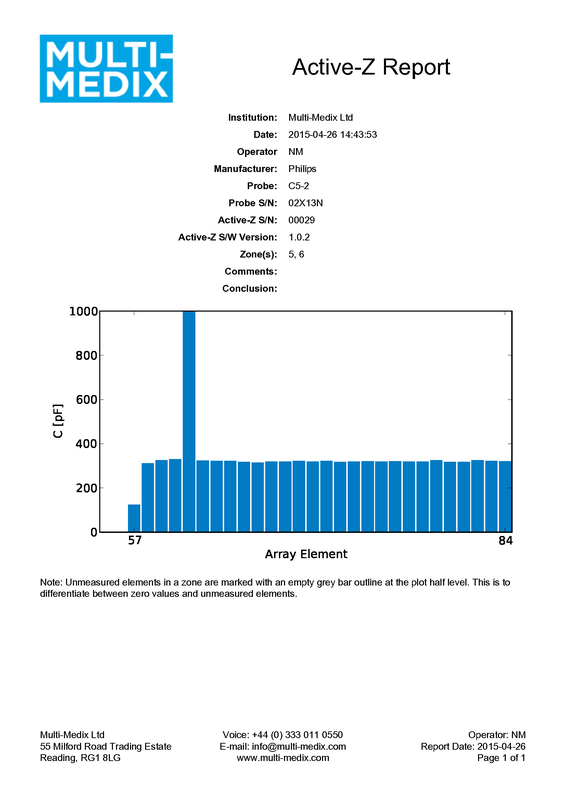 To add Active-Z™ capability to your organisation, please contact us.